If you’re looking for a fun an easy Halloween costume, check out this Unicorn Head Mask. 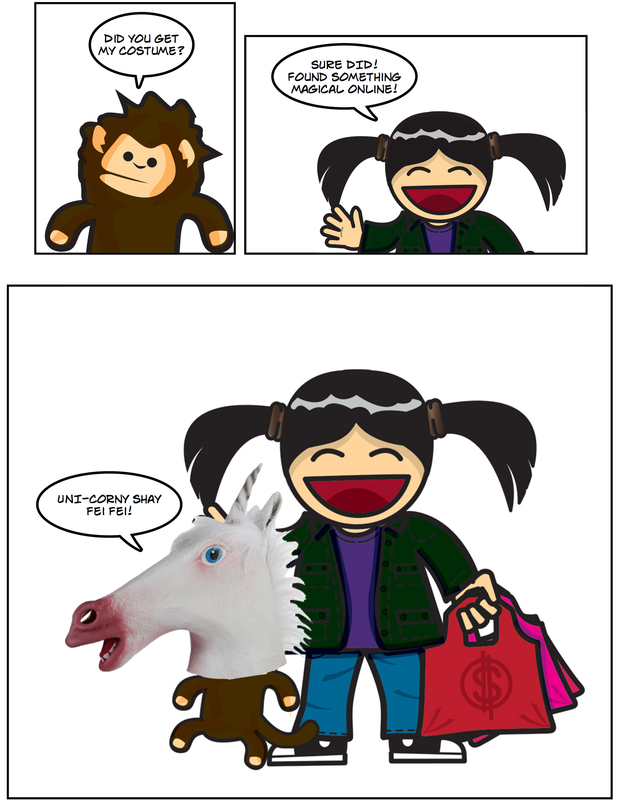 In the start up environments, unicorns are always sought after. Most start ups are always on the look out for THE ultimate unicorn (designer, developer, project manager, researcher, product manager and writer all in one). Get your own Unicorn Mask this Halloween and be magical! If you’re inclined to something less mythical, check out the Horse Head Mask and dress up like the gangster from The Godfather. Whichever you choose, enjoy and have fun this Halloween Season! This entry was posted on October 25, 2013 at 7:00 AM and is filed under Uncategorized. You can follow any responses to this entry through the RSS 2.0 feed. You can leave a response, or trackback from your own site.